Home >> SPDM, what is it??? It stands for “Simulation Process and Data Management”. SPDM is the information system to manage the critical activity of Simulation and Analysis Engineers, helping them to deliver faster results and ensure traceability of calculation steps. 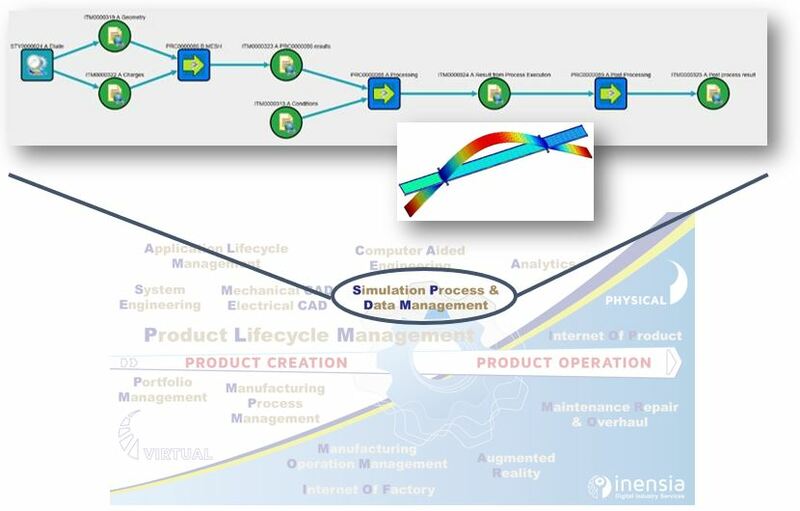 In collaboration with our UK partner OpenSPDM, INENSIA developed a SPDM platform prototype based on ARAS software, taking benefits of all existing ARAS collaboration capabilities and offering ability to embed specialized Simulation & Analysis software. Want to know more? Write us at contact@inensia.com, or attend our demonstration on Monday May 28 at the ARAS ACE 2018 forum in Paris!